Joseph K. Antwi graduated from the University of Ghana with a BA (Hons) in Economics with Political Science. He also holds a Diploma in Insurance from West Africa Insurance Institute (WAII) and Advance Diploma in Insurance at Ghana Insurance College (GIC). Joseph has a strong interest in Mathematics and Statistics and won an Award from WAII in December, 2002 as the Best Student in Quantitative Methods. Joseph is a Chartered Insurer and an Associate member of the Chartered Insurance Institute (CII), UK. 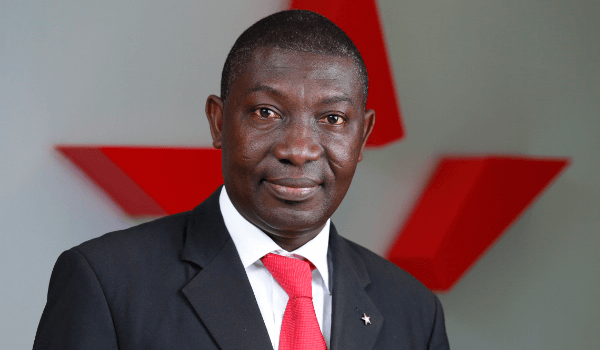 His career in Insurance started with Star Assurance as an Underwriting Officer at the Head Office in August 1999 and in April 2000 he was sent to Sunyani as the Branch Manager. Due to his hard work, commitment, loyalty and dedication to the Company, he was able to manage the branch for a period of ten (10) years. In July 2009, he was transferred to Ring Road Central branch as the Branch Manager. Due to his remarkable performance, in July 2010, he was made the Agency Co-ordinator responsible for agents’ welfare for their effective and efficient operations. In January 2013, he was promoted to the rank of a Manager and in February 2013, transferred again as the head of Ring Road Central branch and doubled as Agency Coordinator. In February, 2017 Joseph was promoted to the rank of Senior Manager and the National Agency Coordinator. Before joining Star Assurance Company Limited, he worked with Ghana Statistical Service as a Data Processor and a Field Mapper during the National Sampling Frame Updating Project.